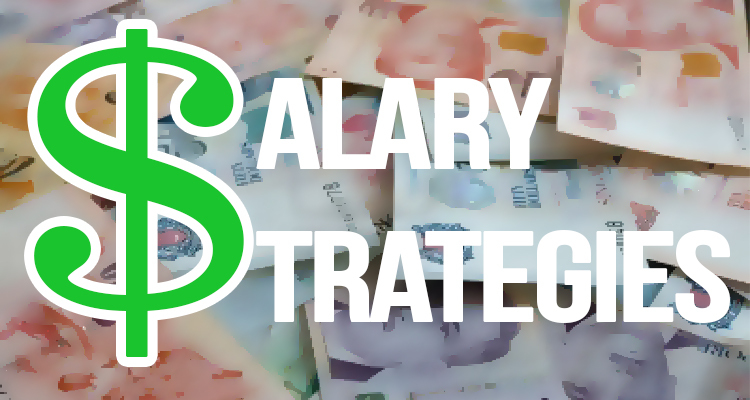 Home » Startup Career » How to negotiate for a better salary if the startup is having profits? How to negotiate for a better salary if the startup is having profits? If you are looking to join a start-up and know for sure that the startup is profitable and making money, there is a huge chance of getting a fat pay if you are good at negotiation skills. However, the problem with most of the startups is that the management and the owners are aware of the conventional wisdom that they are not yet in the mainstream arena and that a huge inflow of cash for a year or so does not actually mean ‘consistency’ but can just be hype or luck. This is why; they tend to keep their pockets tight and like to fill their treasure nicely so that it can be of help at times when the business is not actually going great, the chances of which are high in the startups, especially during the initial years. So, if you are looking for a job and have landed a lucrative offer with the startup company, which is in the news for all the right reasons and which the analysts hope and see as the future big thing, then skipping the offer can be quite a mental challenge as it is confusing to understand what is at stake and what you might lose. In any case, going for an interview in a said prosperous company is a must as you just might bag a bargain deal in terms of salary and a definitive hike accompanied with an equity option, something which your current position might not be offering. In the end, what you get and what you lose boils down to your negotiation skills as that is what can cut you a great package or might put you off the company’s potential candidacy list, almost immediately. One thing you must remember is that just because you are a fresher or new to the field, doesn’t mean you cannot get a good package. If you are good and confident about what you bring to the company and how much you can contribute, there is nothing wrong with asking for a better package than what is being offered. It might be your skill set, your academic qualifications, technical brilliance and experience or just about anything that makes you deserving of that raise. However, it is important that prior to going to interview, you check the financial background of the company as well as the industry standard salary being offered to your level of executive. Both these aspects will help you understand whether what is being offered is less or more and whether there is a scope of a better pay or not. During the process of the interview, try and understand as well as listen carefully the tone, the language and the words being spoken out the by the employer as that says a lot about whether there is a scope of a hike. But, just don’t keep your focus on money or better package as the employer might change the tone as soon as they realize through your knowledge talk that you are actually worth what you are demanding, if you know what it means. Showcasing your knowledge, experience and expertise in a very flamboyant yet humble manner makes a lot of sense during the interview and your in-depth knowledge might put you above the league. And, since the company is making profits already, they might not mind having an expensive employee who can multiply the current run of revenue generation. There are many resources available online and you might have gathered many resources within the corporate world that can tell you a lot about the current market trends, industry standard pay-scale and much more. This information is extremely valuable in knowing and understanding what can be got and compare it with what is on platter. Also, one of the key ingredients is to stay confident during the interview and answer sharply to all the questions to ensure that you come across as a confident candidate and a prospective employee of the company with lots to contribute. Standing out as a potential candidate is sure to help you when the phase of negotiating salary comes during the interview. When you are given a package combined with equity and liquidity, make sure you know what percentage of equity is actually good and what percentage is just a juicy number as there are a lot of parameters involved. Your knowledge of the company, its future scope of growth as well as the understanding of your own expertise and skills mixed with confidence is what can help you get a good pay package. Read also: Competitive salary or higher equities if you were to join startup?